Three days of pure exhilaration. We leave Gauteng on Friday morning and head for Durban in true Jozi style for a weekend full of adventure, good times and all night excitement. With sundowners on the ocean pier, an awesome sunset cruise on the harbor and Durban’s many clubs on offer, this is your time to play hard. With breakfast and dinner sorted and a comfortable place to stay, all you need to do is chill and max out your weekend. Departing Johannesburg we drive south west into Kwa-Zulu Natal where we stop en route and visit the Natal Midlands. We warm up with an exciting optional canopy tour which sets the tone for late night action that awaits us in Durban. Arriving in Durban late afternoon, we have a chance to hit the wild surf and enjoy some fruity sundowners and cocktails on the pier. Returning to our lodging we enjoy dinner before exploring the pubs and clubs on Florida road. Shuttles will take you home at 00h00 and 02h00. Many taxi’s are available at reasonable prices if you choose to stay out later than 2AM, because your driver needs his rest. After breakfast the morning is yours to sleep in or venture out and enjoy Durban’s famous beaches on the Golden mile, with its many interesting shops, restaurants and lively beach bars. There is bicycle hire available for those who want to take it easy but do the distance. In the late afternoon we are transferred to Wilson’s Wharf where we join a harbour sunset cruise for sundowners and some of your favourite music. Returning to our lodging we enjoy dinner before visiting some cool bars in Umhlanga rocks. Leaving Umhlanga we enjoy more night clubs for the last party. The last shuttle will take you home at 12h00 and there are many safe taxi’s at reasonable prices if you choose to go home later than that. For the energetic there is plenty time for an early morning swim or walk on the beach before breakfast. Saying goodbye to our hosts we take a mellow drive back to Johannesburg with all the tales and stories of a weekend to remember, arriving back in Johannesburg late afternoon. Tour highlights, transport, accommodation, meals as indicated and the services of an ENGLISH speaking driver / tour leader. Visas, visa fees, travel insurance, flights, airport transfers, optional activities, laundry, gratuities, passports and items of a personal nature. These are activities that are available on the tour but are optional to you, to streamline the adventure to suit your individual taste and pocket. Choose between dorm or twin-share rooms at our specially selected budget lodges, with a pool, restaurant and bar, whatever your style, whatever your adventure, we’ve got it covered! Minibus: With a minimum of 4 passengers to a maximum of 18. On confirmation of booking you will receive pre-departure and all relevant information. After receipt of full payment, travel vouchers and all pertaining information will promptly be delivered to you! If you could please contact your local travel agent for flights arrangements to and from your tour start and finish destination. 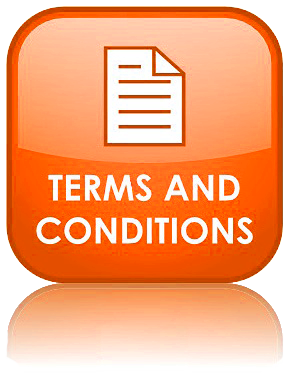 Click here to download our terms and booking conditions.